“We selected the DPS case management software because it can clearly support our efforts to become a paperless practice.’’ explained Rebecca Delaney, one of the firm’s Partners who has been heavily involved in the process of replacing their practice management software. Hepburn Delaney are specialists in Family and Matrimonial Law and as a result needed a powerful and stable case management software to match their expertise. Rebecca Delaney outlined DPS’s Family case management software as the solution – the product offers strong functions that will streamline the work of the team. “We were particularly pleased with DPS’s content search facilities, the way the emails are processed, the integration with Outlook and the user-friendliness of the interface which automatically fills forms” added Rebecca. 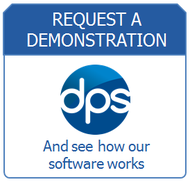 The Family case management software from DPS is integrated to Financial Director, DPS’s legal accounting software, forming a comprehensive Practice Management Solution. ‘’Having this information readily available throughout the case is a huge benefit to fee earners and helps us to keep track of the costs corresponding to each matter’’ said Rebecca. In addition to the strong private billing and procedures- DPS Family has specific legal aid tools which made it a particularly interesting proposal for Hepburn Delaney as it covers all aspects of their work. Hepburn Delaney are also using the Probate case management system from DPS. ‘’Our goal is to see the work produced by this department becoming increasingly digital. Data stored digitally is more secure, much easier to retrieve now and in the years to come and less prone to misuse’’ concluded Rebecca, explaining her firm’s decision to become a paper-light practice. Hepburn Delaney is an extremely IT savvy legal practice based in Hemel Hempstead law firm are specialists in Family and Matrimonial Law as well as Wills, Probate and Powers of Attorney, providing expert legal advice with a family focused approach. Their expert Children Law Solicitors are members of the Law Society Children Panel. The practice also undertakes publicly funded work for Child Protection and Care matters, whilst the Partner in charge of Wills and Probate is a member of (STEP), Solicitors for the Elderly (SFE) and Law Society of Trusts and Estates Practitioners.